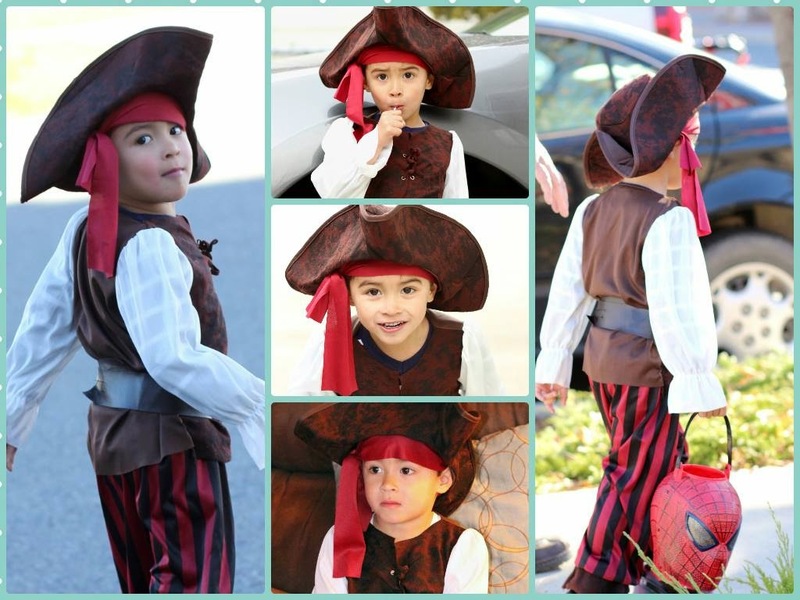 My Sweet Haven: My Little Buccaneer on Halloween! We're taking charge of our health. My Little Buccaneer on Halloween! I was excited for my little man for this year's Halloween. It's his first time to go trick or treating. Well, not by choice though. We were just that unfortunate that every Halloween for the past 3 years, he gets sick. So we'd end up staying at home wearing whatever costume I bought for him for that year. So when Halloween 2014 was approaching and he didn't show any symptoms of getting sick, we made plans. I took time off from work and Jeff and I took him to the walking mall to go trick or treating. He had a blast. I picked this cute little buccaneer costume from Amazon and oh boy I think my young man looked adorable, lol! He originally wanted to wear his Spiderman costume from last year but thankfully I talked him into wearing the buccaneer outfit instead. I agreed to let him bring his Spiderman bucket so he can have at least some Spiderman spirit, lol!